On Monday I started the week with working from home to prevent straining my leg further and taking care of my it, cooling it throughout the day with an icepack, using homepathic cures such as Spiroflor and Arnicka and keeping it elevated to hopefully improve the recovery and decrease the time that was needed to recover. 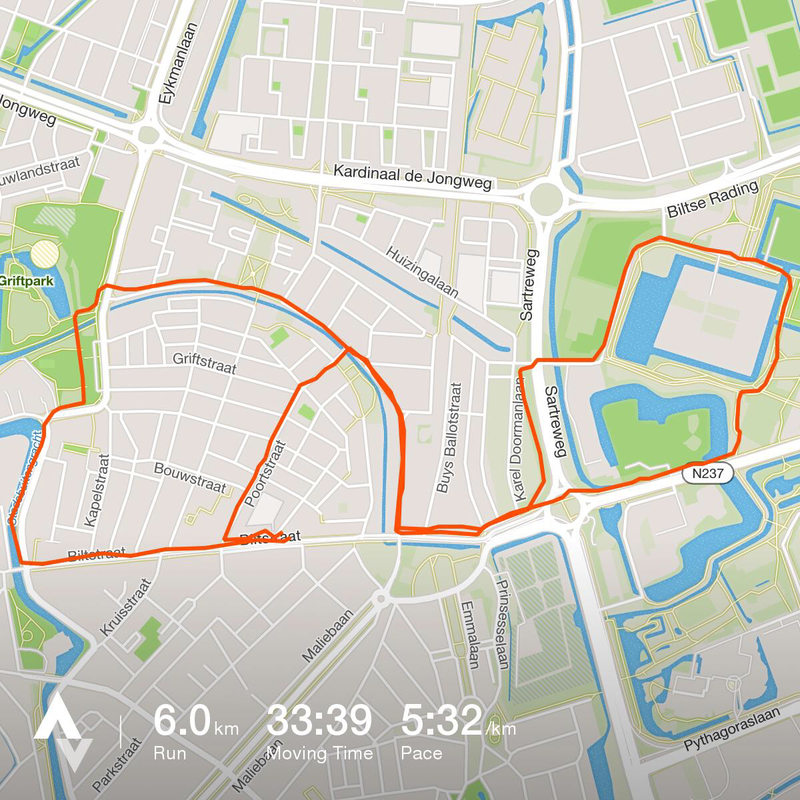 A little walk from home to the grocery store proved to be very painful and I already had written of the chance to still run the Lommeltrail as I had planned to. Tuesday was not really different from Monday except that the pain was slowly fading. I was able to go to work again but still did not dare to run so I just kept treating my leg with the icepack. By now I had the feeling I was going slightly mad after not running for forever and then some (only 3 days without running). I am really terrible at taking breaks from running, especially if they are forced due to tapering or injuries. So after a few days I am climbing up against the walls or curtains out of frustration. Normally I run in the morning but I decided to wait just a bit more and only played around with the Kettlebells for a bit more this morning. 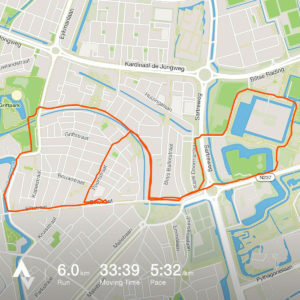 During normal daily activities the pain started to fade away into the background more and more and so at the end of the day I finally dared to go for a short run. I did two short loops close to home to make sure that if something did not feel right I would be not more than 1 km out. All in all it went ok, I felt my quadriceps at each step but it was bearable and it did not get worse. After 6 kilometers I decided that this was enough for now and spend the rest of the evening with my new friend mr. icepack. I expected my leg to be sore after yesterday’s run, but when I woke up it actually felt better than before, looks like the little exercise is actually helping the recovery process. 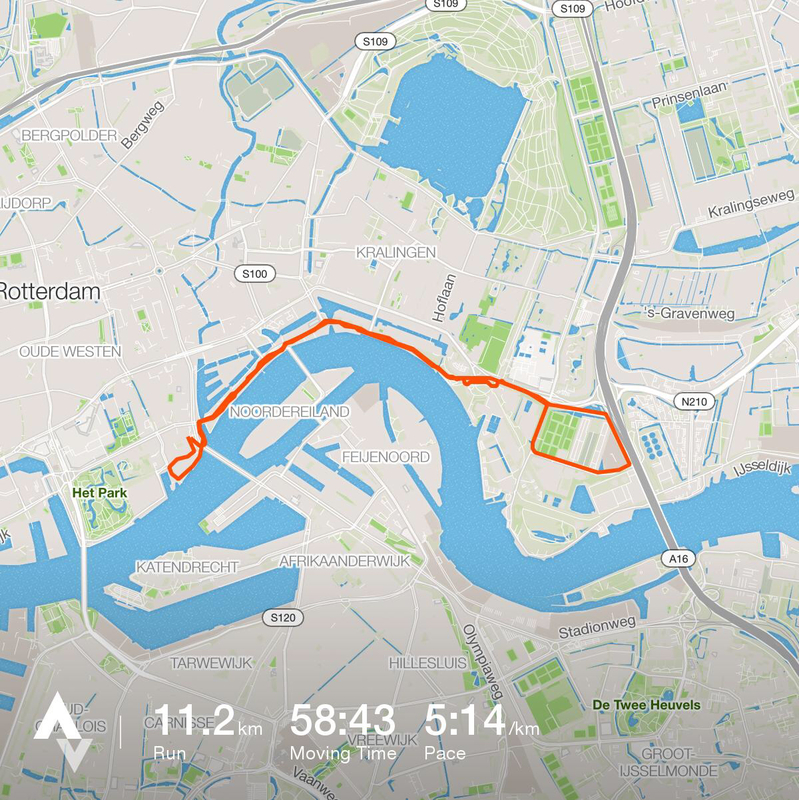 So the next step, a short run in Rotterdam before the workday as I do so often. And so early in the morning I drove to Rotterdam, left my clean clothes and towel in the office and at 7:00 AM I went out for a short 11 km run. Besides a bit of sensitivity in my leg the pain was almost fully gone, happy as a child I ran along the tunes that played through my headphones. Now I knew for sure that I would be running in Lommel, I just hadn’t decided the distance yet. Throughout the week, my friend Tom who is also the organizer of the Lommeltrail was “bugging” me on Whatsapp to ask me if he could put me in the volunteering schedule or if I was going to run. I don’t know if he did that on purpose to give me additional motivation but I was certainly not just forfeiting and opting to volunteer right now. Another day, another run. 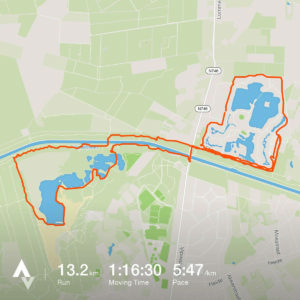 The original plan was to taper a bit before the Lommeltrail, but I needed to go for a run to get a feeling of what was possible. I did not want to make my decision on which distance to run based on the previous two short runs. And so on Firday morning I went out for a slightly longer run to see where I am at. During this run I completed 16.4 kilometers at a conservative pace, slight annoyance in my left leg towards the end, but the rest of the run was pain free. In the afternoon we drove to Lommel where we had rented a cottage at the start / finish location. The race briefing would be at 20:00 at which I would pick up my race bib and had to decide on the distance. At the registration desk in the evening when I turned in my voucher for a race bib, the friendly lady asked: “which distance” and I just blurted out: “55 kilometer” and so it was decided, the other day at 9:30 I would be at the start of the 55 km Lommeltrail as was originally planned. So why did I choose the Lommeltrail in my preparation for the Bello Gallico? Well for multiple reasons. First of all timing wise it is a nice milestone to test if I am ready for the longer Bello Gallico run. Secondly just as the Bello Gallico it hardly has any elevation gain in it, therefore making it a suitable training for it. And finally I really enjoyed the run last year. After a good night of sleep, dispite the dent in the matras that made me feel I was sleeping in a hammock, Astrid and I set off to the starting area at 8:00 AM. A bit early since I would not be starting until 9:30 but since Astrid would be volunteering at one of the aid stations and had to be at the volunteer briefing at 8:30 AM. Astrid would be taking care of aid station 2 on the 55 kilometer route together with Dutch trailrunning champion Kim Mulder. I was looking forward to get to that aid station at 25 km on the course. After shaking some hands and chatting a bit with other runners that I know from the trailrunning community it is time to start and at 9:30 we head out for a nice day in the outdoors. The weather is really great today, the whole week was dominated with pouring rain but today the sun was shining and it would remain dry for the rest of the day. The big downpours of the past week have left their marks on the trail though as the first 40 kilometers looked more like a mud run. Ankle deep mud along the trail and puddles of water made it quite challenging compared to the previous edition where the trail was dry. For me this was a great addition to my training since it added a mental aspect to it. I am at my best when I can settle in a steady pace and just let the distance pass by. The current trail conditions meant going zig-zag along the trail and jumping to avoid the deep puddles and constantly getting wet feet in the unavoidable puddles. At 25 km of this mud sliding, slalomming and jumping I arrived at the second aid station where Astrid helped me refill my water bottle and sent me back on my way on the trail. Up to the third aid station at 35 kilometers I was on a 10 km/h average pace but decided not to try to maintain that pace since I did not want to go all out. I did not want to run this trail at 100% to minimize the recovery time I would need. With some music on and going through more runnable sections of the trail in the last 15 kilometers I was enjoying myself and passing several other runners from the shorter distances along the way. And 5 hours and 44 minutes after the start I crossed the finish line. Of course a bit tired after almost 6 hours of running, but definitely not fully worn out and with a smile on my face I cross the finish line where Astrid was already waiting for me. After a shower in our cottage we got back to the start / finish area to see the rest of the runners finish and to end the evening with Pizza and beers with all the volunteers of the trail enjoying fun trail stories. Surprisingly enough my left leg that seemed so troublesome at the beginning of the week did not hurt at all during this entire run. I feel blessed with a body that is able to recover this fast. To keep my legs moving I planned to go out for a short run on the Sunday morning after the Lommeltrail. 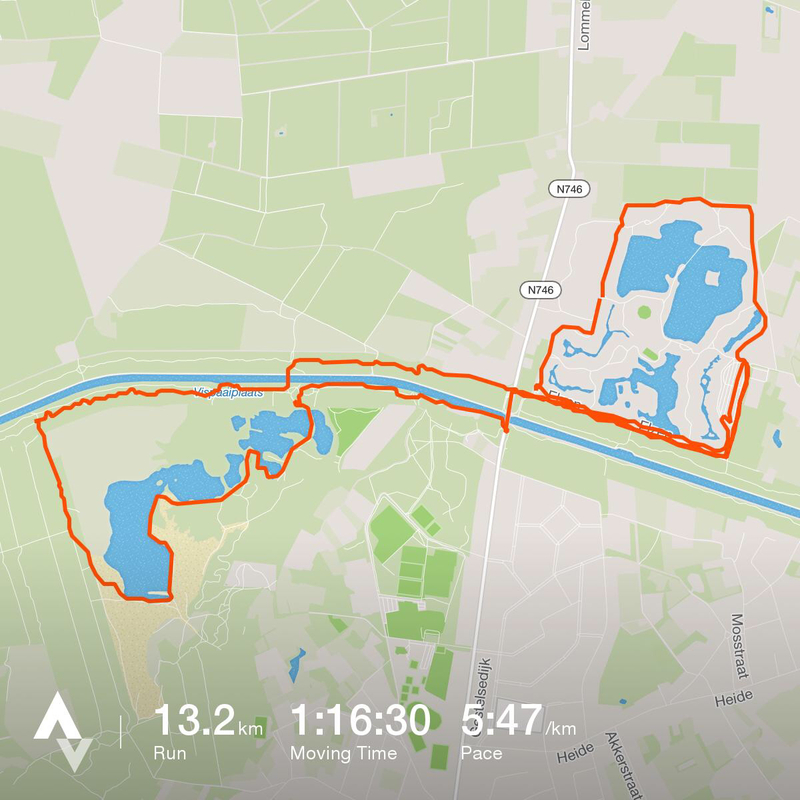 Since we were still in our cottage in Lommel I decided to go for a run on the 9 km course of the trail. It was a nice sunny morning and after a few hundred meters my legs were warmed up and felt fine again. Part of the 9 km trail is similar to the later part of the 55 km trail and it was a lot of fun to run this section again with relatively fresh legs. As I got back to the cottage it started to rain, perfect timing. After a shower and some time in the infrared sauna we had in our cottage we packed our bags and went home to Utrecht, the conclusion of a great training week. It is also a good indication of my progress over the past year. 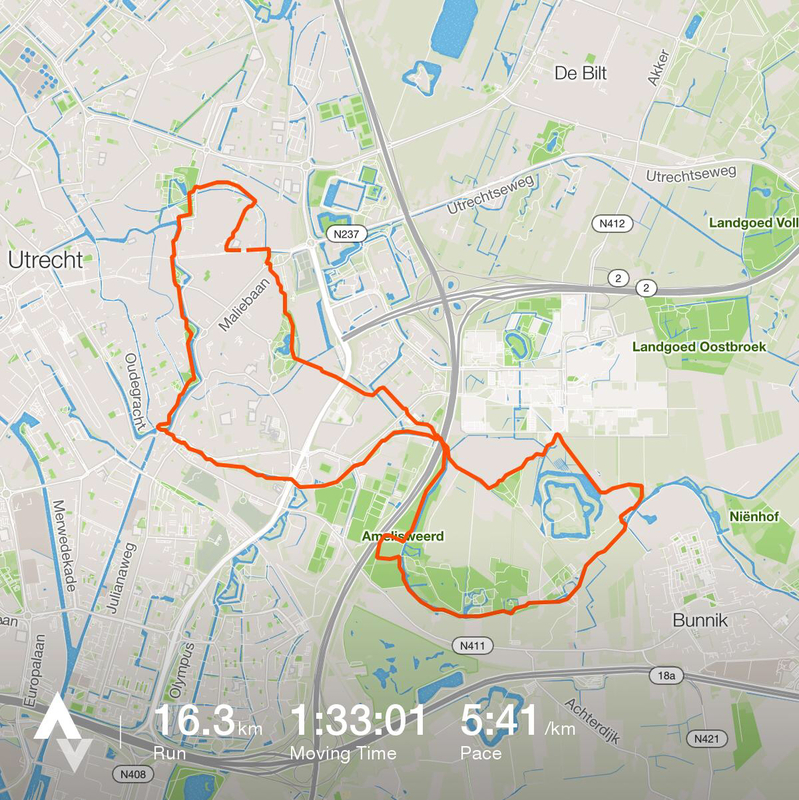 Last year in November I also ran the 55 kilometer Lommeltrail. In easier circumstances with a dry trail I was only 6 minutes faster than during this years edition. But most importantly the impact that it has decreased. Last year I could not even go for a short walk the day after the race and today I could easily go for another 13 kilometers of trailrunning. In hindsight I might say that I am very happy that I bounced back right on track of my training. It feels weird to start the week wondering how long I won’t be able to run and then to finish the week with over 100 training kilometers and a completed ultra trail. It even makes me feel guilty and wondering that people think I am exagerating an injury. Honestly this injury felt really serious, but giving it the right attention and listening to my body led me to the way I handled it this week. 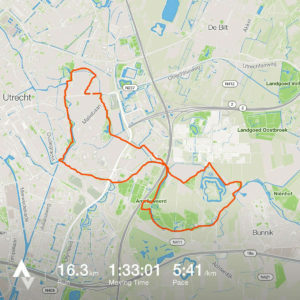 Did I take a risk with running the Lommeltrail? I don’t think I did. I had decided up front that I would quit as soon as the pain in my leg would come back, regardless if I would be at kilometer 2 or 54 (ok if I would be at 54 I probably would slowly walked the last kilometer). Finishing the Lommeltrail was also a confidence boost that is very welcome. Since my failed attempt at running around Texel in July and my failed attempt at the 65 km Trail des Fantomes in August this is the first long distance race that I finish. There are 4 weeks left for the Bello Gallico trail, 3 of those weeks will be spent on training, the last week will be tapering. I had a few bumps along the way but I feel that I am ready for it.